The exhibition of the XXXIV congress in Ghent is accompanied by a catalogue in colour of 416 pages. One medal per artist is illustrated. 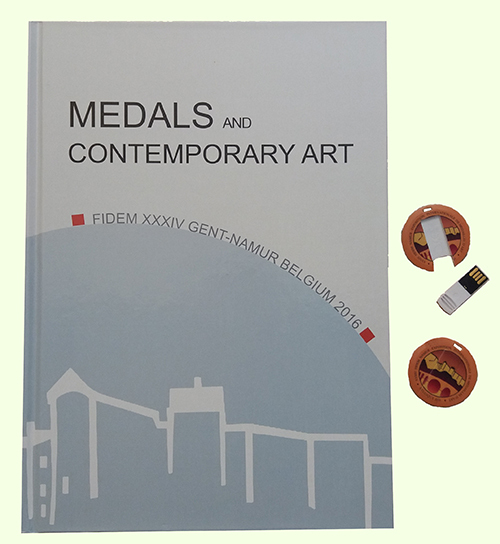 The catalogue is accompanied by a USB-stick with pictures of all the medals exhibited at this congress. This catalogue can be purshased for 45€ (+ postage) and can be ordered via Paul Huybrechts (e-mail: medailleshuybrechts@hotmail.com). Will soon be available for purchase in our web-shop.